Celebrations are in order for two of the UK’s best pub chefs – Amy Houghton of The Shoulder of Mutton in Hebden Bridge, nominated by Craig Whittaker MP and Kevin MacLean of The Rat Inn, Hexham, nominated by Guy Opperman MP. 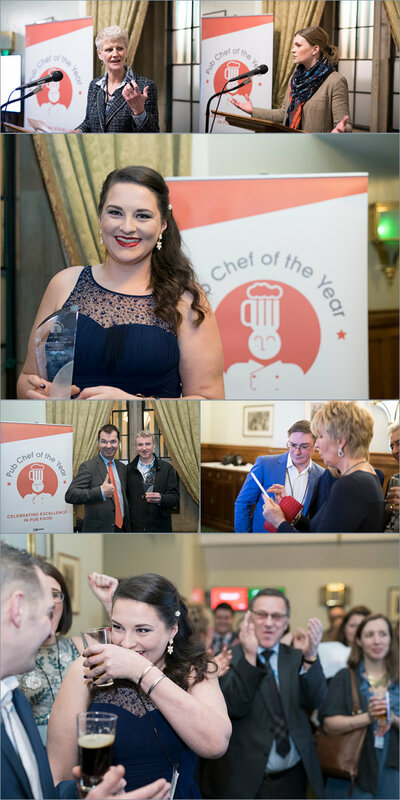 The pair took the spotlight last night (7th February), as they were crowned winners at the Parliamentary Pub Chef of the Year Awards, held at the House of Commons. Run by the British Beer & Pub Association and the All Party Parliamentary Beer Group, in partnership with Nestlé Professional, the event was a huge success with over 80 selected attendees from the education, media and pub industry including celebrity chef and judge, Paul Merrett. The photography was to capture the event along with some staged photos of Amy and Kevin with their respective MP's and families.